If you think the term terroir only applies to wine, the Terralta line will make you think again. Aromas of soil (earth, mushrooms) and minerals remain even in the añejo, mixing pleasantly with barrel flavors such as vanilla, maple, and caramel. 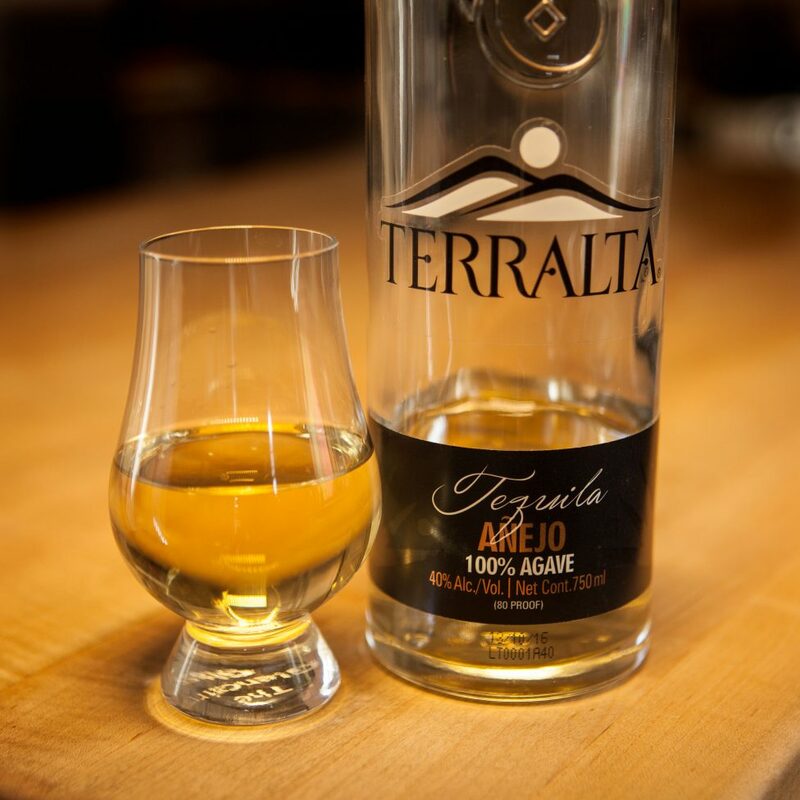 We don’t typically drink añejo tequilas because most of the time the agave is buried underneath too much wood, but that is not the case with this lightly-aged product. Agaves are cooked in brick ovens, and crushed using a mechanical tahona, fermented in stainless steel vats, distilled in a copper pot still, and aged in used white oak barrels. The water used is from El Pandillo’s mineral-rich deep well. We will be drinking this all weekend long, and enjoying its earthly pleasure to the last drop. Time to re-order! Have you tried this yet? We’d love to know what you think. Rate it using the Tequila Matchmaker app! Named one of "The Five Must-Have Apps" by Thrillist! "A tequila app that rocks!" Tequila Matchmaker, our free app for iPhone and Android, can detect your own individual "flavor fingerprint" and match you with tequilas that are right for you (and then tell you where to find them.) Don't believe us? Give it a try! It's like "Pandora for Tequila!"